Integrity Pain & Wellness provides the most advanced and effective treatment for all types of musculoskeletal and neurologic pain, both acute and chronic. With locations in Scottsdale and Mesa, Arizona, Integrity Pain & Wellness is led by top-rated and Board Certified Dr. Amit Patel and fellowship-trained Dr. Maaz Iqbal. Both are highly experienced in the full scope of traditional and cutting-edge treatment modalities, including medications, injections, and regenerative medicine. Committed to providing compassionate pain relief to patients throughout the entire Valley, Dr. Patel and Dr. Iqbal always provide an individualized approach to care, tailoring treatment plans to each patient’s unique needs and lifestyle. Additionally, they believe strongly in working in partnership with their patients, as well as, keeping in close contact with referring physicians. At Integrity Pain & Wellness, the focus is always to address the core issues causing the pain with the goal of returning function while minimizing pain for each patient as fast as possible. Our Mission is Compassionate and Competent Care of all Patients with any painful condition, acute or chronic. Our Focus is treating people with a caring approach and actively listening to their concerns, and understanding their needs. Our Emphasis is accommodating each person’s lifestyle and being committed to improving their Quality of Life to the highest degree. Dr. Amit M. Patel, MD is an interventional pain physician at Integrity Pain & Wellness in Scottsdale, AZ, and Mesa, AZ. He is dedicated to returning patients to an optimal quality of life and has an unparalleled background. Following residency training at the Johns Hopkins Hospital in Anesthesiology and Critical Care, he completed a fellowship in Pain Management at the Mayo Clinic. Dr. Patel has been published in several peer-reviewed journals and scored in the 97th percentile on the Pain Management board exam. Aside from his academic and professional accolades, he has a reputation for being a caring and precise diagnostician, who works in close partnership with his patients. Dr. Patel practiced in the Southeast Valley before opening Integrity Pain and Wellness. Dr. Maaz Iqbal is an interventional pain management and anesthesiologist at Integrity Pain & Wellness in Scottsdale, AZ and Mesa, AZ. 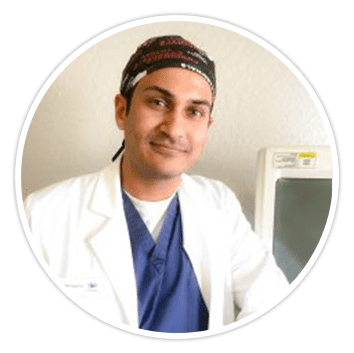 After growing up in Chandler, Dr. Iqbal moved to Tucson for college, medical school, residency and fellowship training at the University of Arizona. Having spent over a decade in Tucson, he decided to move back to provide medical care to the Scottsdale and Mesa community while maintaining his Wildcat roots. Dr. Iqbal is fellowship trained in Anesthesiology and Pain Management. Dr. Iqbal has exceptional clinical experience becoming very skilled in a multitude of interventional pain treatments and medical management. He was the only Pain Management fellow at the University of Arizona and trained with renowned pain faculty. Dr. Iqbal now aims to carry his academic medicine experience into his practice by providing patients with knowledge of their disease and available treatments, personalized and empathetic care, and most importantly, time. 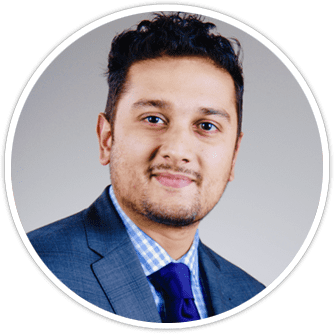 In the current fast paced world of medicine, Dr. Iqbal strives to give his patients the best possible experience while dealing with and addressing their chronic pain needs. Dr. Iqbal is thrilled to have the opportunity to return to the Valley to start his practice. In his free time, he enjoys playing basketball, tennis, DIY projects and spending time with his beautiful wife and two year-old son. 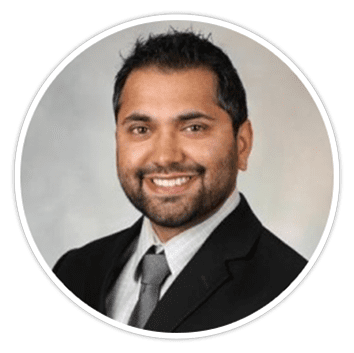 Dr. Ankit Patel, DO is an interventional pain physician at Integrity Pain & Wellness in Glendale, AZ and Scottsdale, AZ. He moved to Arizona from England in 2005 and spent the following 8 years graduating from the University of Arizona with a Bachelor of Science in Physiology and subsequently obtaining his medical degree from Midwestern University. He then moved to Oklahoma for his residency training at the Oklahoma University Health Science Center in Anesthesiology. During residency, Dr. Patel developed a strong interest in the field of pain management through clinical rotations and active research, and consequently completed a fellowship in Interventional Pain Management at the University of Toledo Medical Center. Dr. Patel uses a multi-disciplinary approach to combat pain, including interventional pain procedures, medical management, and physical and behavioral therapy. He has robust training in various treatment modalities, including spinal cord stimulation, intrathecal drug delivery systems, and radiofrequency rhizotomy techniques. He is also very skilled in interventional injections including epidural steroid injections, selective nerve blocks, and joint injections. His mission is to provide compassionate care to all of his patients. 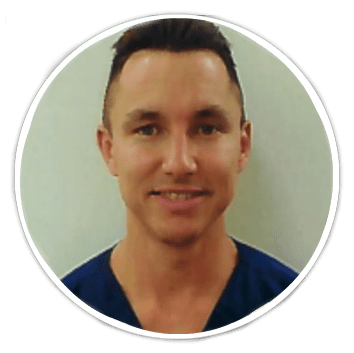 He strives to treat all of his patients on an individual basis and help them regain their functionality and quality of life. In his spare time, Dr. Patel enjoys spending time with his family and friends, playing tennis and exploring new destinations worldwide. Dr. Luke Garcia, DO graduated from medical school in New York at the New York College for Osteopathic Medicine. He completed his internship at Palmetto General Hospital in Miami, Florida and did his residency training in Physical Medicine and Rehabilitation at Nassau University Medical Center in New York. Dr. Garcia completed a one year interventional pain management fellowship at the Florida Spine Institute in Tampa, Florida. He specialized in the treatment of acute and chronic pain using a comprehensive and multidisciplinary approach to pain management. He will construct a unique treatment plan for each patient that may combine rehabilitation therapy, medication management, and adjunctive therapies. Dr. Garcia also provides the latest, most up to date minimally invasive interventional treatments in order to alleviate and manage pain with the goal of restoring quality of life, increasing function, and regaining wholeness for patients suffering from pain. Angela Davis is nationally certified by the American Association of Nurse Practitioners. Originally from Toledo, Ohio, Angela relocated to Arizona 10 years ago to enjoy the 300 days of sun. Angela’s passion has always been taking care of others since the young age of 19. She began taking care of the mentally challenged and Alzheimer’s sufferers. Angela has experience with patients in med/surg, telemetry, critical care, and oncology. She believes her background in oncology has a connection and passion in providing excellent care to pain sufferers. 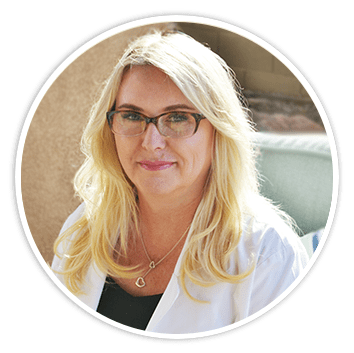 In the last two years, Angela has worked closely with physicians in the preoperative care and post-anesthesia care unit, assisting with various pain blocks and infusions. Angela holds a Bachelor of Science in Nursing and Masters of Science in Nursing from Grand Canyon University. Angela originally received her Associates of Science in Nursing from Mercy College of Northwest Ohio. Angela is a mother of 4 adult children and 4 grandchildren. She hopes to dedicate more time to be a Nani. She recently became a newlywed and is blessed to have found love again. The two enjoy church, gardening, dancing, adventuring with juicing and coffee recipes, and spending time together. Angela also enjoys an extensive hobby in making soaps, lotions, and crafting. Randy J Kauk is a Board-Certified Nurse Practitioner who works with patients to relieve acute and chronic health concerns. She works with the patient to provide effective and innovative pain management solutions. Randy believes the needs of the patient come first and every patient should be treated with respect, honesty, and dignity. She believes each patient is an individual and their treatment plan should be tailored to their specific needs. Randy has worked at several respected heath care institutions including Detroit Medical Center, Banner Health, and the Mayo Clinic. Randy holds certification of Acute Care Nurse Practitioner- Adult/Gerontology from the American Association of Critical Care Nurses. She is also ACLS, BLS certified. Randy holds a MSN from Grand Canyon University, a BSN from Oakland University, and an ADN from Henry Ford College. 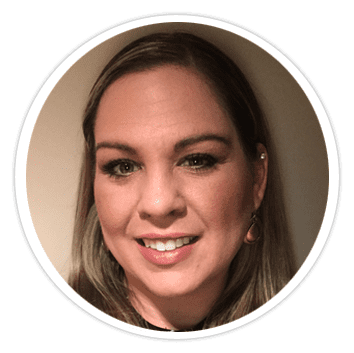 Randy enjoys spending time with her family including her husband Tim, two daughters and their husbands, four stepchildren, and the best grandbaby in the world. Randy and Tim enjoy traveling, sporting events, cooking, theater, and family gatherings when not working. Alexandra Ebong is a Certified Family Nurse Practitioner with her Doctorate in Nursing. Originally from Oregon, Alexandra and her husband relocated to Arizona seven years ago. 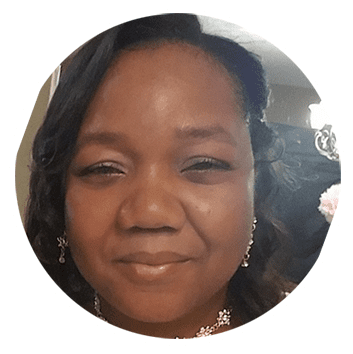 She began her nursing career in 2002 as a Certified Nursing Assistant and has since earned her Associates of Applied Science, Bachelor of Science and Nursing, and her Doctorate of Nursing. Alexandra has worked in a variety of specialties including Cardiology, Orthopedics, Renal/Dialysis, Critical Care, Psychiatric, Women’s Health, and Pain Management. She has a passion for helping patients live their best life possible. Alexandra believes in patient-centered care and utilizing alternative medicine, when appropriate, to supplement or enhance patient outcomes. Alexandra enjoys spending time with family and friends. She has travelled extensively and enjoys experiencing new cultures. Additionally, she enjoys fitness, cooking, music and meeting people. We collaborate with major academic institutions on ketamine infusion protocol & treatment. Our insurance contracts are continuously being added and updated, please call our office if you do not see your plan on our accepted insurance list. We accept most plans, and we work to minimize out of pocket costs for the patient – even if your plan is out of network.